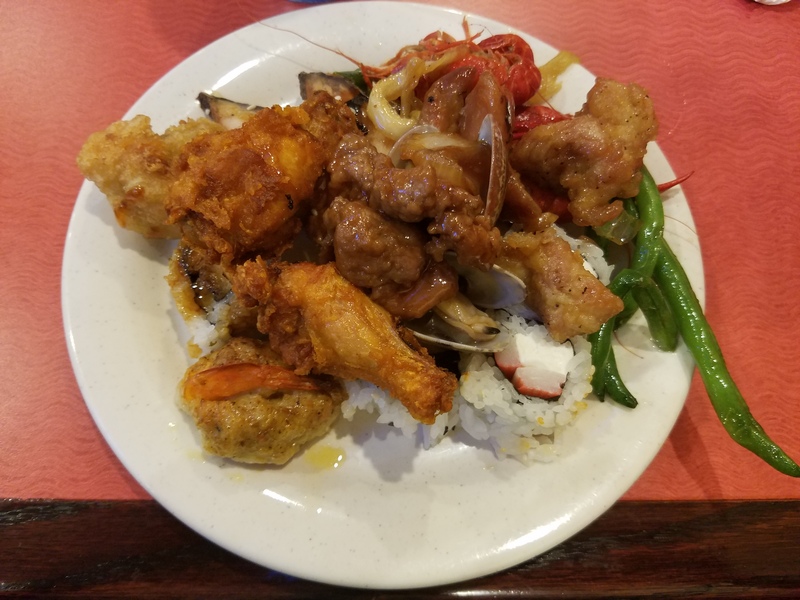 I needed somewhere quick to eat before a Sunday night visit to Rowan University, and I saw Peking Buffet in passing and decided to give them a try. My expectations for buffet food is pretty low, but I must say this place really hits it out of the park with an extremely affordable price point, variety, freshness, and the overall size of the place. This place is HUGE inside and works like a well oiled machine with almost every type and style of food available to eat on the buffet or stations next to buffet . The Sunday night I visited, they were packed, but trays of food, sushi, hibachi orders and other food just kept on flowing seamlessly. If you’re in the area, you really can’t beat the value and selection here. Posted in Restaurants and tagged best buffet in south jersey, chinese buffet in south jersey, food blog philadelphia, Food podcast Philadelphia, food radio show philadelphia, peking buffet, peking buffet glassboro nj, where to eat near rowan university. Bookmark the permalink.